WeatherTech Cargo Liners provide complete trunk and cargo area protection. 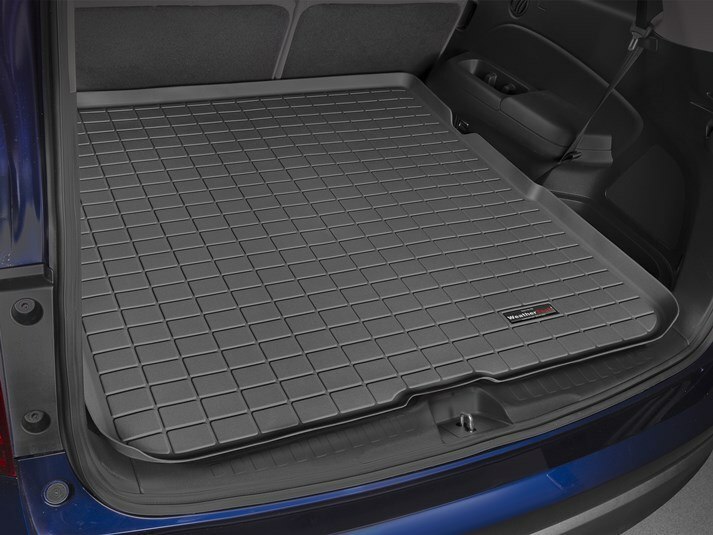 Our Cargo Liners are digitally designed to fit your 2017 Honda Pilot and feature a raised lip to keep spills, dirt and grease off your vehicle’s interior, protecting your investment from normal wear and tear. I love my cargo liner! When I first got my Pilot I had the cargo area constantly covered in old bedspreads and drop cloths. And since we live near the beach, I had to constantly shake them out and then vacuum. Now spring projects and the upcoming beach season will be a breeze or, more precisely, a quick swipe with a whisk broom. I have never owned a vehicle this nice and my WeatherTech Cargo Liner will help me keep it looking like new! I purchased this liner for my Honda Pilot because I drive my two Australian Shepherds around on a daily basis. Sometimes they have an accident on a long trip or track in mud/dirt/burrs, etc. It was a nightmare before I got the liner. Now even if they urinate in the car on accident, it doesn't get in my car, it just gets on the liner and I pull it out and hose it off. What a huge relief!